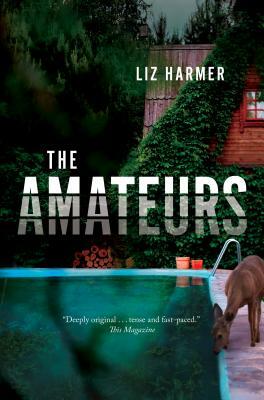 The Amateurs explores the depths of the human capacity for curiosity, hope, loneliness and love, and does so through characters so beautifully drawn that you will embrace and chastise them as you would friends. Marie is one of the few who have resisted the extraordinary pull of PORT, a technological innovation purported to take you to any place or time you desire. She and her dog Gus live on the outskirts of a community of people who stayed, but they are struggling to survive and resist the increasing seduction of PORT. On the other side of this now-empty country resides Albrecht Doors, the wealthy, charismatic, mad inventor of PORT. He is surrounded by his followers, but those closest to him are beginning to question his claims and wonder what there is to defect to. Harmer brilliantly weaves into this tale of technological seduction the dangers of human desire and hubris, and leaves you wondering what limits you would test and just how far.